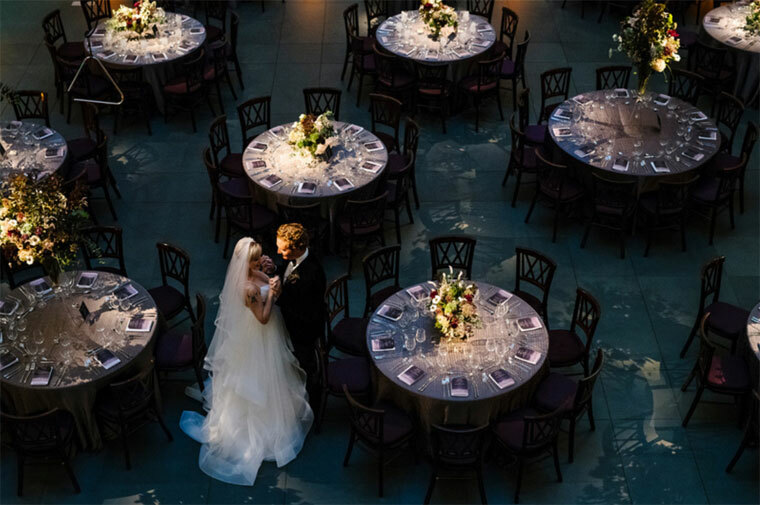 On Saturday, September 15, 2018, Lana and Caleb welcomed 130 wedding guests for an intimate ceremony at the elegant MIT Chapel followed by a reception and seated dinner in Calderwood Courtyard, the historic heart of Harvard Art Museums. The bride, an author, shared a clear vision with her personal TCA wedding producer. She imagined a reception surrounded by moody hues, deep plums and aubergines, inside this renowned and elegant setting. 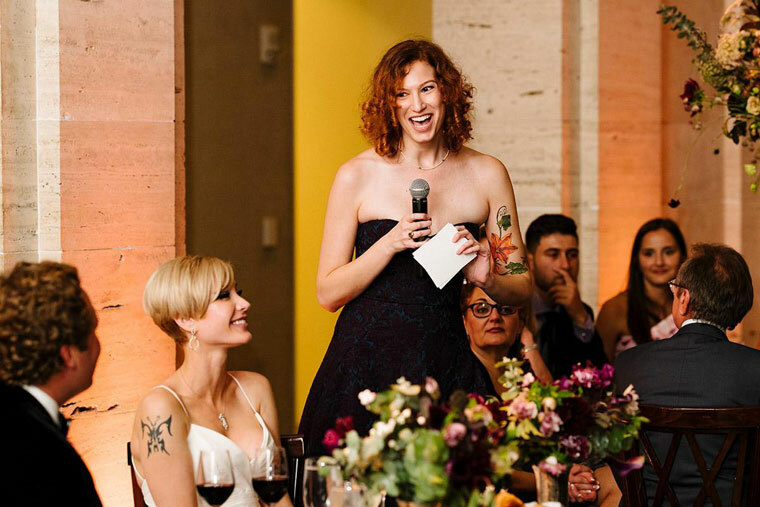 When discussing the menu, she envisioned an experience that encouraged her guests to mingle, take in the exquisite architecture, refined details, various collections of art, and enjoy a sophisticated celebration with family and friends. During the couple’s initial planning meeting, TCA suggested several vendors. The bride decided to work with Mimosa Floral to create her dream setting using both high and low centerpieces. Ashley O’Dell captured the couple’s and all of their loved ones’ most cherished moments together. After their ceremony at the MIT chapel, guests made their way into Harvard Art Museums. A friendly staff greeted them with a choice of beverages, including a classic Old Fashioned. This was followed by a beautiful flow of hors d’oeuvres, which guests enjoyed while they explored the first floor galleries. We suggested a first course featuring tomatoes, an excellent seasonal dish for a September wedding in New England. Their choice was a fresh take on a classic caprese salad. After a private tasting, the couple selected three seasonal favorites for their entrees. Caleb, a principal research scientist for MIT, grew up in Texas, and as a nod to his family, we branded each steak with a shape of his home state. We pride ourselves on the creativity and personalization we were able to provide. Their thoughtful menu selection also included an option for their vegan guests. 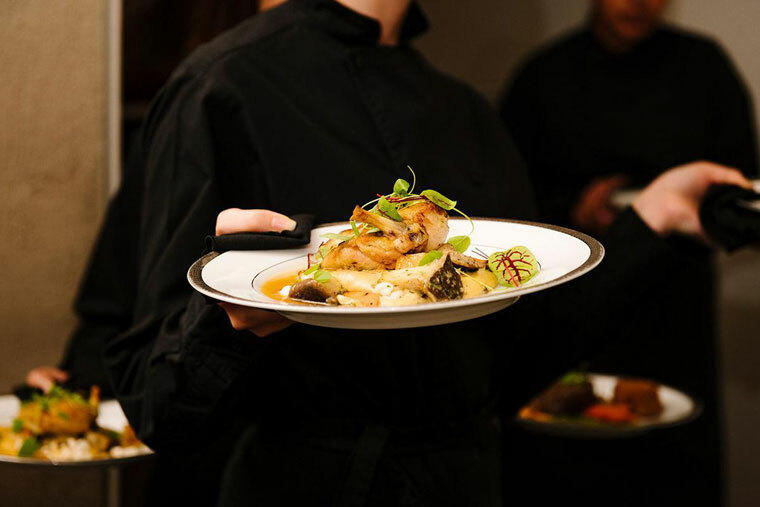 TCA has a wealth of options for alternative menus we are always excited to share with our clients. 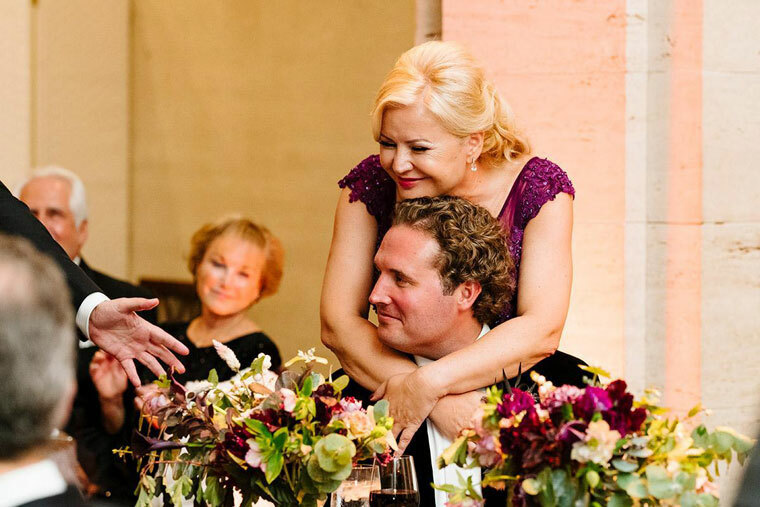 During dinner, guests were truly moved by the speeches and intimacy shared between Lana and Caleb’s family and friends. Harvard Art Museums set the perfect stage for these moments in time. Transitioning from dinner and toasts, C-Zone entertainment opened up the dance floor! Lana and Caleb’s first dance as bride and groom was especially dramatic. It was as if they were the only two people in the room. 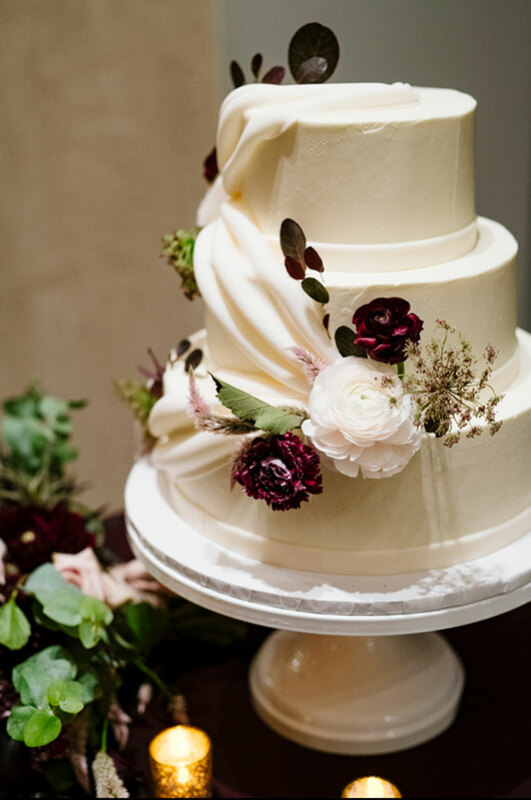 This gorgeous wedding ended on a sweet note. The bride and groom offered two flavors of wedding cake to choose from. Lana and Caleb’s wedding was truly a unique experience, and all their family and friends have the memories to show for it. 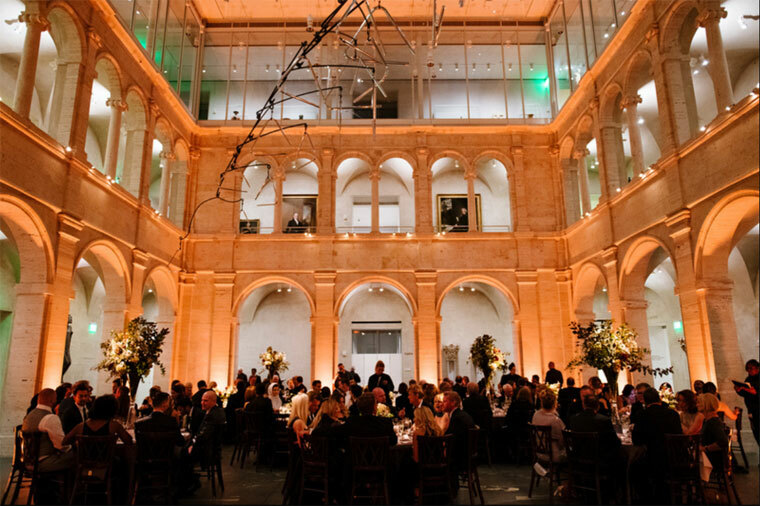 Ready to plan your upcoming wedding or event at Harvard Art Museums? We are! Contact us or call us at 781.763.1333.